There’s no gainsaying the fact that the present administration came at a time of global economic crisis which worsened the fiscal conditions of the Nigerian economy. Given that revenue from oil accounts for more than 80 percent of funds to the government, the crash in oil price from $112 per barrel to $39 per barrel, fiscal leakages as well as the endemic corruption in the system presented a rather difficult situation for the new administration to manage. 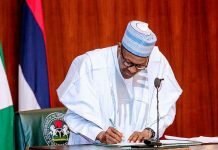 The situation had prompted President Buhari on several occasions to admit that the economy was truly in bad shape, needing drastic measures to address it. 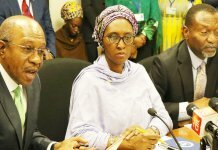 At the recent edition of the Nigerian Economic Summit (NES), the first to be hosted by the present administration, it was unanimously concluded that drastic actions needed to be taken to fix critical sectors of the economy, particularly power as well as reforms in the civil service to restore orderliness. Perhaps one of the most visible of government’s determined moves to rescue the economy had been the stance to ensure there are consequences for impunity as well as drastic efforts to recover illicitly acquired wealth for redistribution in the economy for the well being of Nigerians. 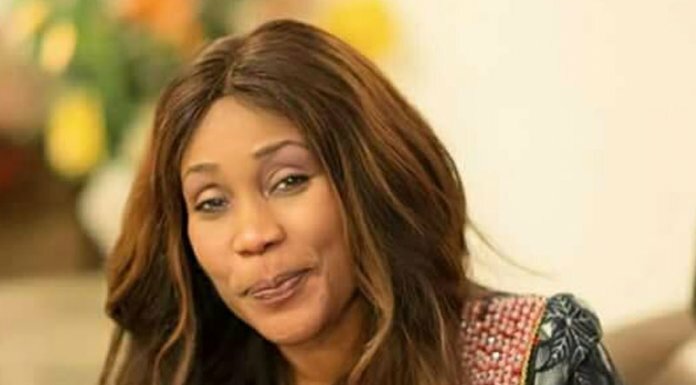 In trying to plug fiscal leakages, the present administration had at inception implemented the Treasury Single Account (TSA) which had been kept in the shelf by the previous administration. The TSA today makes it difficult for government agencies to spend money at will without justification and impact assessment report. On the fiscal front, the establishment of the Efficiency Unit in the Federal Ministry of Finance appears to be yielding fruits in government’s bid to cut wasteful spending and entrench transparency in public finance. 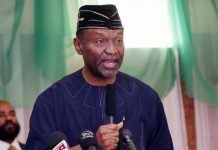 The unit recently unveiled strategies to manage procurement costs in public institutions which altogether spent N825 billion on travel allowances, stationery among others in three years. Follow up to the measures to save cost, a recent directive further banned serving ministers and other public officials from flying the business class at the expense of public funds. Other strategies being adopted to address the challenges brought by the falling price of oil include the diversification of the economic base from oil. Government has disclosed its commitment to achieve self-sufficiency and become the net exporter of specific agricultural products such as rice by 2018 and wheat by 2019. It further plans to implement the national industrial revolution scheme and launch the ‘Made in Nigeria’ campaign to enforce local patronage in order to boost domestic demand for local items, thereby simulating economic activities and empowering Nigerians. Another areas of interest in the current drive to reset the economy is the resolve to give priority attention to critical infrastructure with a focus to invest in power, rail and roads. Government’s determination to optimise the 7,000MW installed capacity and complete the privatisation of the National Independent Power Projects (NIPP) plants and develop a concessioning plan for Transmission Company of Nigeria (TCN) has been commended for addressing challenges in the power sector, which is considered critical to offsetting the country’s myriad industrial and manufacturing woes. The determination to revitalise social investments including health and education projects as a way of addressing some of the root causes of social disorder has also been commended. Under the initiative, the Buhari administration intends to give the sum of N5,000 monthly to the most vulnerable persons in the society including the aged and poverty stricken individual to enable them cope with reality. Only recently, the federal government further secured a $6 billion investment deal from China for development of critical infrastructure, a development which has been welcomed by analysts as a way of helping to bridge the deficit in the 2016 budget. There are several other initiatives and those others in the pipeline. However, experts believe the proper articulation and implementation of government policy decisions are key to achieving the overall objective of moving the economy forward. Observers argue that not much had been achieved in the areas of providing a clear-cut vision for the economy. Furthermore, the lack of a clear-cut blueprint on the direction of the economy by the administration is seen in bad light by foreign investors who have stayed away for now. And unless these shortcomings are addressed, the lofty aims of government to redirect the economy on the path of prosperity could be elusive.